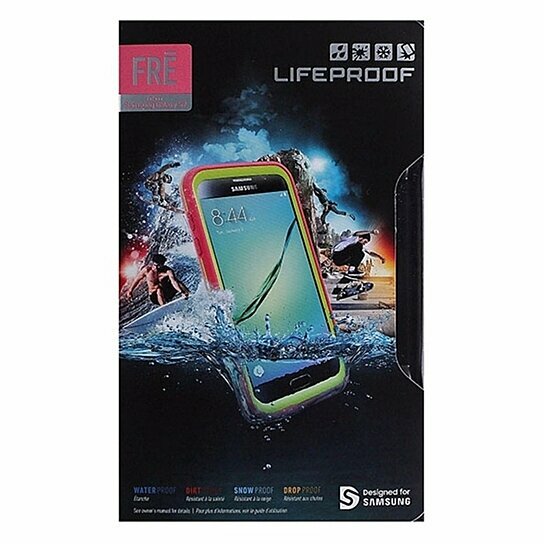 LifeProof brand FRE Series Waterproof, Dirt proof, Snow proof, Drop proof, Case for Samsung Galaxy S7. Pink Exterior with Lime Green Trim. Submersible up to 2 meters for 1 hour. Sealed from dirt and dust, close to snow and ice, survives drops from 2 meters.